The main beach of the seaside-town of Cabarete, a mere 8 minutes by car from your luxury rental villa, is lined with an eclectic array of restaurants and bars, with international cuisine, serving breakfast, lunch, and dinner. In the evening, dancing and music provide a fun nightlife scene. Life here centers on the beach. 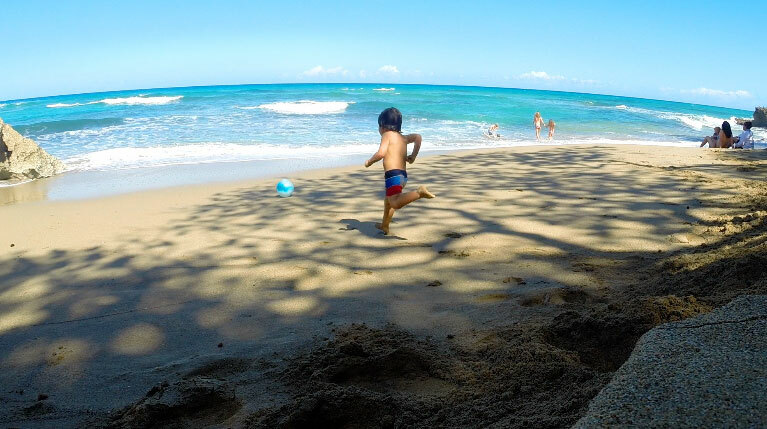 During the day, Cabarete bay is filled with family vacationers, adventure-seeking water sports enthusiasts, and the relaxed sunbathers. Cabarete is famous in wind-sport circles for windsurfing, kiteboarding, and traditional surfing. It offers an advantage over other destinations with its plethora of activities including tennis, yoga, SUP, white-water rafting, scuba diving, canyoning, kayaking, a waterfall cascading trip, snorkeling, deep sea fishing, hiking, zip line and more. 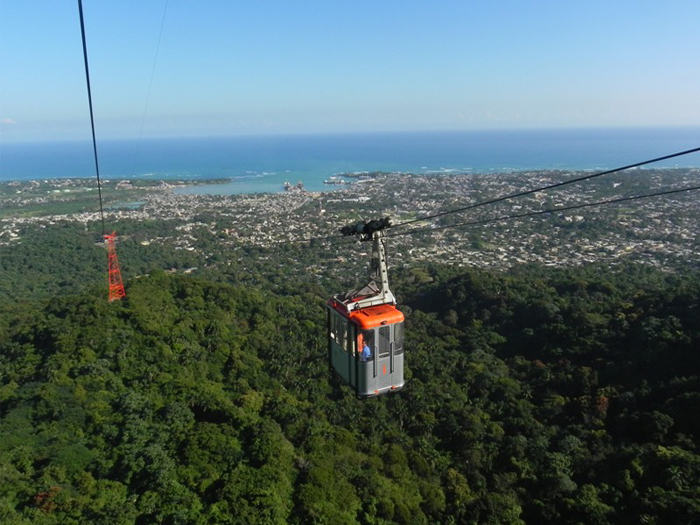 Many of these activities are offered through the Dominican Republic ’s licensed eco/active tour companies. 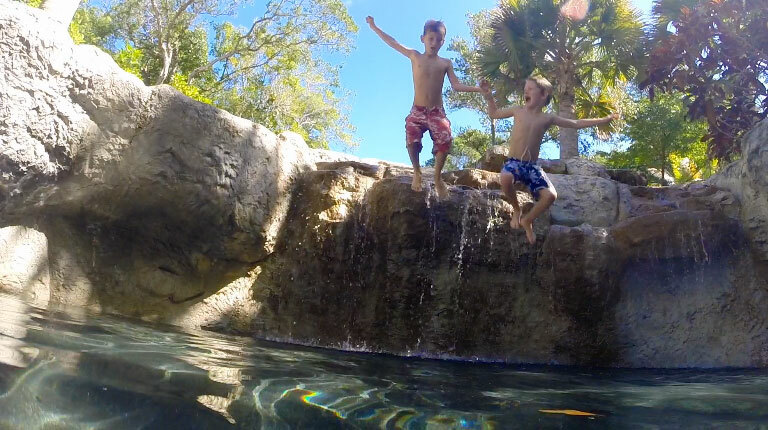 A fun family adventure could be Monkey Jungle, about 15 minutes from Sea Horse Ranch where you can play with and feed monkeys in a 2 ½ acre open grotto. The attraction has a seven-station, double cable, zip line covering most of its 250-acre organic farm and dairy ranch. All the proceeds support a dental, medical, eye clinic and free pharmacy for the local poor. Not to be missed is the Dominican Republic Jazz Festival held in November each year. Jazz fans come from all over the world to hear top-of-the-line Latin jazz musicians from the Caribbean, and Central and South America. 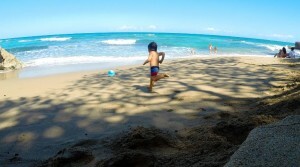 Sessions are held in the two nearby towns of Cabarete and Sosua. Part of what makes this festival unique is that over the course of a few days and nights it wanders from venue to venue so attendees listen to the dulcet jazz tones in different physical surroundings and different acoustical settings—mostly outdoors. The festival also includes free workshops for school-aged children. So this festival is not merely all-that-jazz, it is a community event. While our own Beach Club restaurant is superb for the quality of food, convenience, and ambiance, Cabarete Beach offers an impressive selection of cuisine with quintessentially Caribbean feet-in-the sand charm..…we do recommend venturing out on the town! La Casita de Papi – is known for fresh shrimp or lobster served in a cream sauce in a cast iron skillet. Miro’s – specializes in a variety of foods including sushi, and a fusion of Moroccan and Caribbean served with the art of local talent hanging on the walls. Otra Cosa at La Punta – Cabarete’s only French restaurant under the quaintest of thatched roofs and twinkling lights. A very quiet setting just past the center of town. Bliss – dine in a Spanish-feel courtyard with a pool. Bliss has Italian-International fusion cuisine. The Sea Horse Ranch concierge will be glad to help you find a style of restaurant with the cuisine and setting you are looking for. No tropical vacation destination has more to offer vacationers than the North Coast of the Dominican Republic. 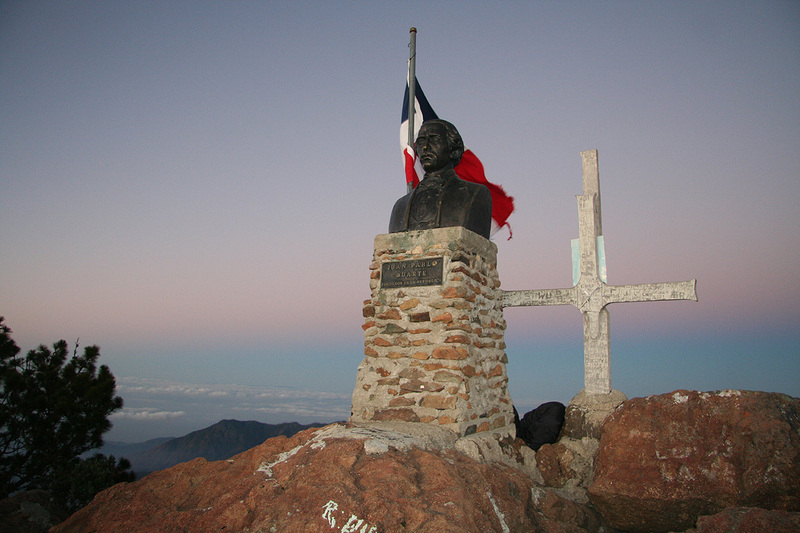 In the far west, near Haiti, is La Isabela. Established by Christopher Columbus, and the only place where he owned land, it is the first European settlement in the Western Hemisphere. Hard to beat that for history. Worth the visit are the Amber Museum and Teleferico, both located in Puerto Plata, the capital of our province. The first displays amber that dates back 20 million years, some with insects in them, as in the movie Jurassic Park, the first scene of which was filmed in the Dominican Republic. The Teleferico is a cable car that goes from the city to the top of Pico Isabel de Torres where you can visit a botanical garden and a replica of Christ the Redeemer, the famous statue overlooking Rio de Janeiro. 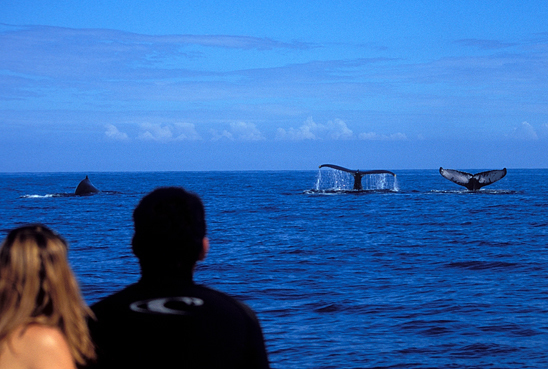 This is one of the natural wonders of the Caribbean in that it is visited by 3000 to 5000 humpback whales every year beginning in late January early February. In addition to this natural wonder, is a variety of tropical playlands including two golf courses designed by Robert Trent Jones, Sr. and Ocean World where visitors can spend as much as a day swimming and playing with dolphins. One of the golf courses is just 20 minutes to the west of Sea Horse Ranch, the other is a scenic one hour drive along the coast for a spectacular oceanfront course also near the spectacular Playa Grande beach…so if some in your party prefer a beach excursion there is something for everyone. As always, ask our concierge to reserve tee-times. The Dominican Republic’s beaches are varied; They range from almost transparent, as in Diamond Beach, to Golden, as in the beaches of Cabarete. In between would be the sugar-white sand beaches as in the nearby Bay of Sosua, whose still waters are excellent for snorkeling that you can swim right off the beach into its marine sanctuary. Along with the Cabarete area, the whole of the north coast offers a depth and breadth of activities unequalled anywhere in the Caribbean. 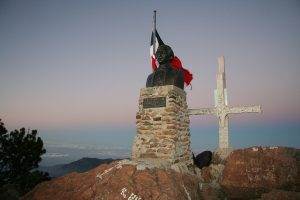 The Dominican Republic has everything you want in a vacation from palm-fringed beaches, bays, and lagoons, to majestic mountains; Pico Duarte at 10,127 feet (3,087 meters) is the highest mountain in the Caribbean. Within its borders are fast-flowing rivers, caves with prehistoric paintings and petroglyphs, and the largest salt lake in the Caribbean, in the south-west in the province of Barahona. There are centuries-old cities, majestic with modern buildings and 25 plus, premium, designer golf courses that make the Dominican Republic a golfer’s paradise. Second, to its being a tropical wonderland, its next major asset is history. 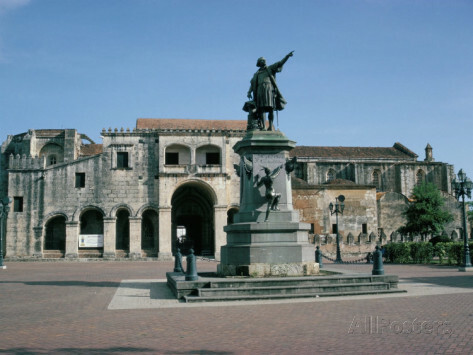 And Santo Domingo, the nation’s capital, founded by Bartholomew Columbus, Christopher Columbus’ brother in 1496, is packed to the brim with it. Santo Domingo’s one-square-mile Colonial Zone is full of centuries-old buildings lining weathered cobblestone streets where Spanish conquistadors once walked. There are more than 300 monuments, churches, museums and forts in the zone. These include the first cathedral, first monastery, first university, first hospital, first customs house and first court of law in the New World. The most visited is the Alcázar de Colón, completed in 1512, for Diego Colón, the son of Christopher Columbus—now more than 500 years old—and lived in by his descendants for 150 years. To the east is La Romana, cigar capital of the country and the historic city of Higüey, in which is the Basilica of La Altagracia, the patron saint of the Dominican Republic. No matter how far you travel in the Dominican Republic, there is always someplace exciting to visit from your Caribbean family rental villa at Sea Horse Ranch.